Walla Fest returns this weekend and for the first time since its inception four years ago it will not be held at Norristown's Centre Theater. Creators Keba Robinson, Yesenia Bello, and Ant Bui decided to make the geographical move in the name of progress but the concept of the event and the overall vibe of the experience will remain the same. 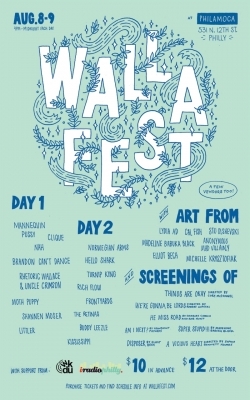 Walla Fest is a combination music, art, and film fest that will run two days, both Saturday and Sunday Aug. 8-9. It is meant to foster creativity, collaboration, and experimentation as well as bring together people of diverse backgrounds who normally wouldn't share the same space. This weekend's festivities will take place at PhilaMOCA in Philadelphia which is a great venue for this laid back gathering. The Centre Theater was a perfect incubator for Walla which has grown significantly over the years and tried various combinations to arrive at the current format. Many artists who've played at early Walla Fests have gone on to greater success in the music world including The Districts, Alex G, Abi Reimold, and Satellite Hearts. This year's lineup is as equally diverse and ripe with young talent. Both days start at 4pm with the Art Show. There is a 5pm early show of music. Then at 7:40pm they will screen various films. The late music show starts at 8:50 pm. See the lineup and schedules below. 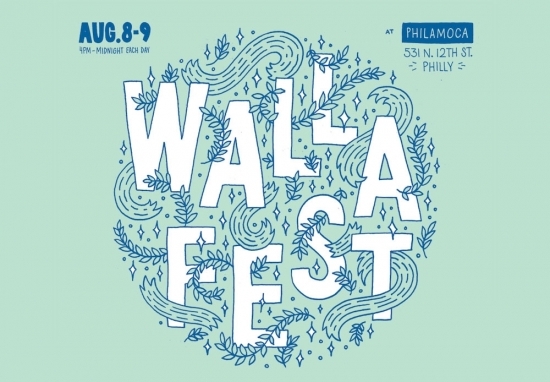 SEE ALSO: Walla Fest Announces Summer Dates and Move To Philly's PhilaMOCA! 4PM: ART SHOW OPENING with Cal Fish, Elliot Bech, Anonymous Mad Villainy (Krispy Feldman, Andrew Vickery, Thor Kimmel, Manny Mables) Lydia AD, Madeline Babuka Black, Michelle Krysztofiak & Stu Olshevski. The show will be on view through August 9th.